Colin Casto, one of the two production summer interns, plants seeds on a field of the one-acre farm. The farm has three main goals, other than growing great crops. They include raising awareness about sustainability, increasing access to local food, and forming partnerships with the community. WPSU Radio Intern Min Xian visited the farm recently and recorded a piece on it. 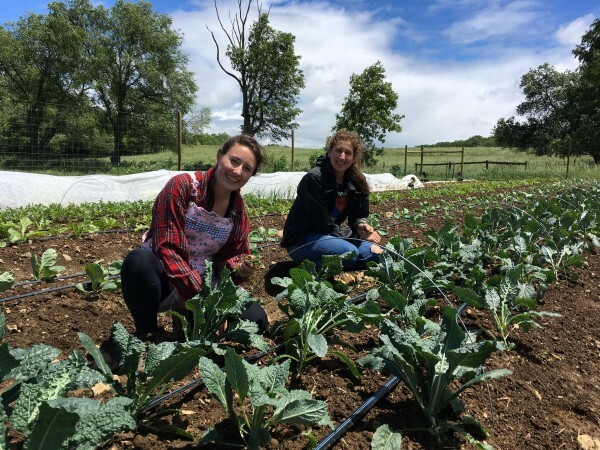 To learn more about this fantastic opportunity for Penn State students to get their hands dirty, please visit the story page at WPSU’s website. Hayly Hoch (left), works on the farm with Carolina Negron.